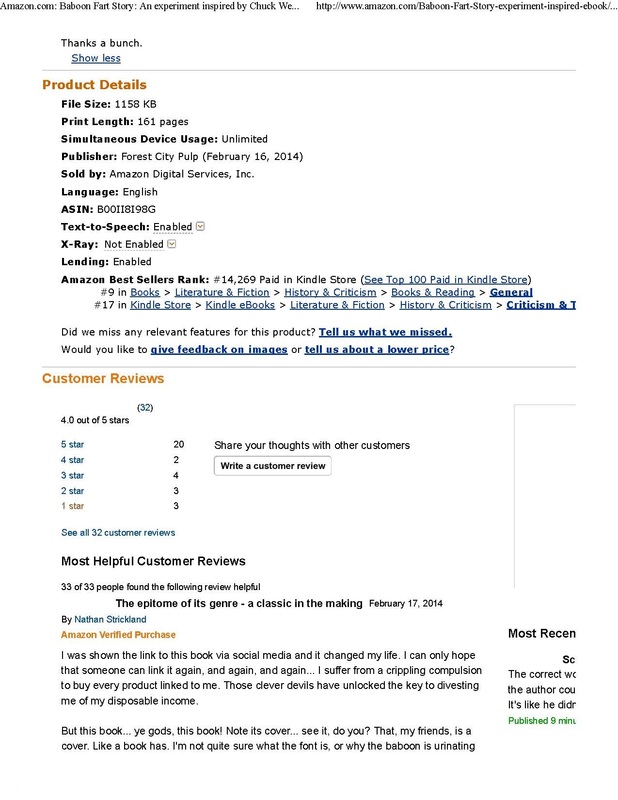 In January, my book made it onto a site called ShelfBuzz, where books are chosen solely for their covers. I didn’t know it was there until yesterday, when someone sent me a link without explaining what it was. I click, scroll down, and whoa! Pretty cool. Thanks, ShelfBuzz! I love being judged by my cover! 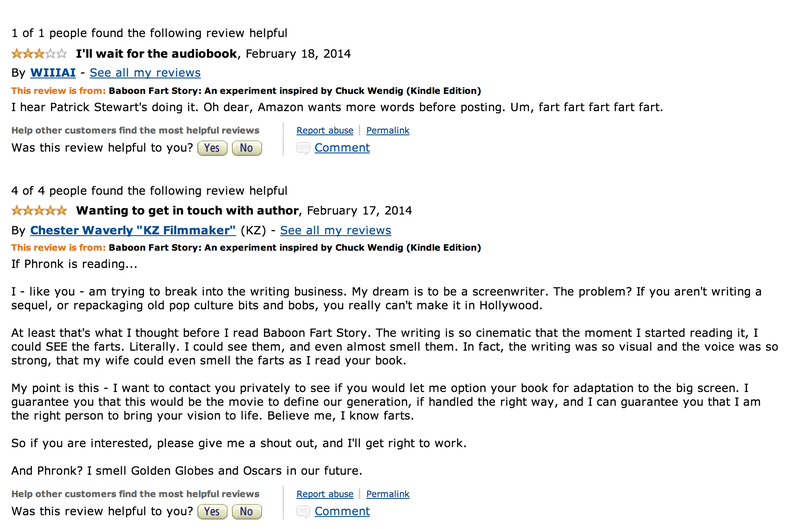 If you missed Baboon Fart Story’s short run of publication on Amazon, here’s a few screen captures frozen in time. I still had it open when someone took it down this morning, so I made these crude images. If I have time I’ll make a PDF or something later. Too busy now. 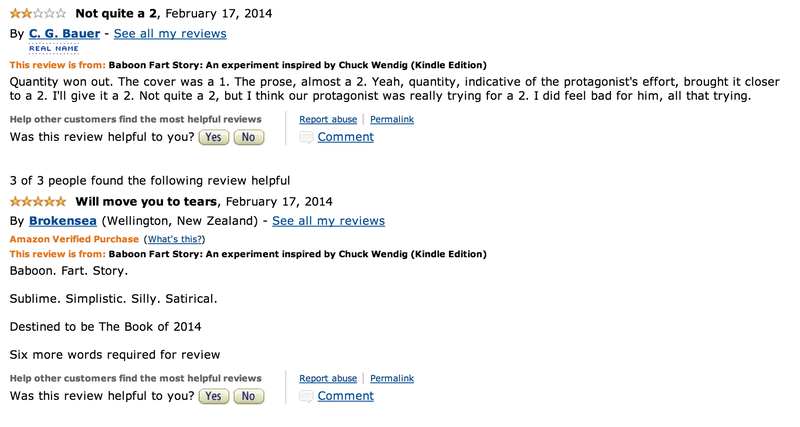 And again, thanks Chuck Wendig, and Phronk, for the laugh. 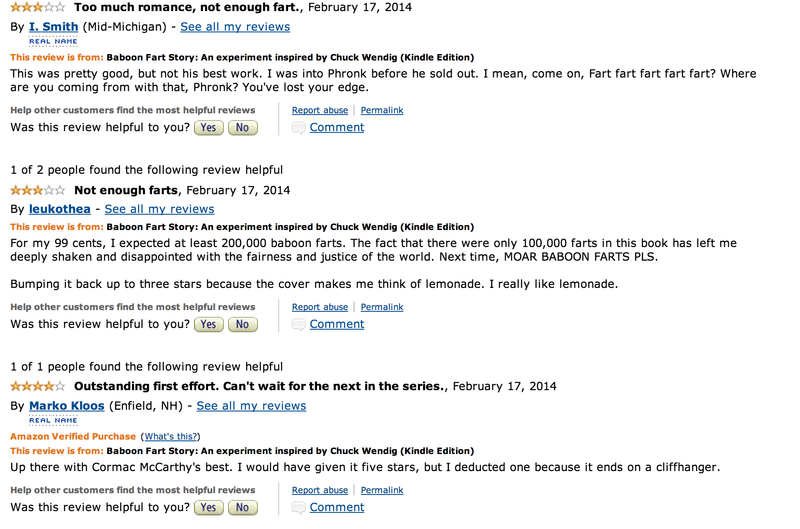 Phronk, author of Baboon Fart Story, has sent me more reviews he managed to capture before someone at Amazon hit DELETE. See below. 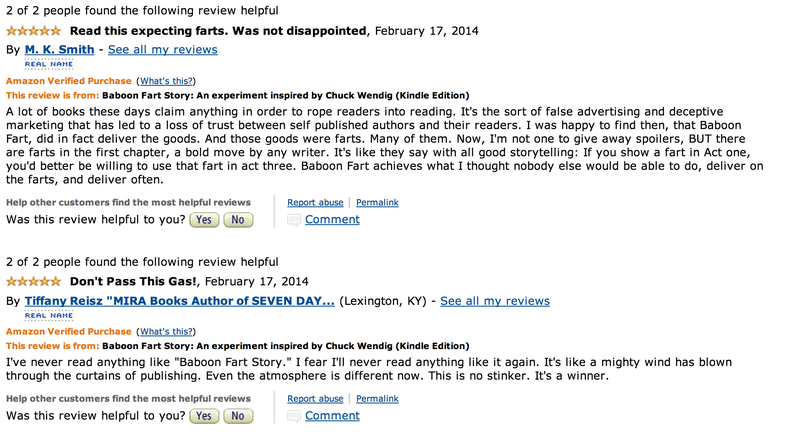 Also, if you want a copy of Baboon Fart Story it’s now up for free on Chuck Wendig’s blog. 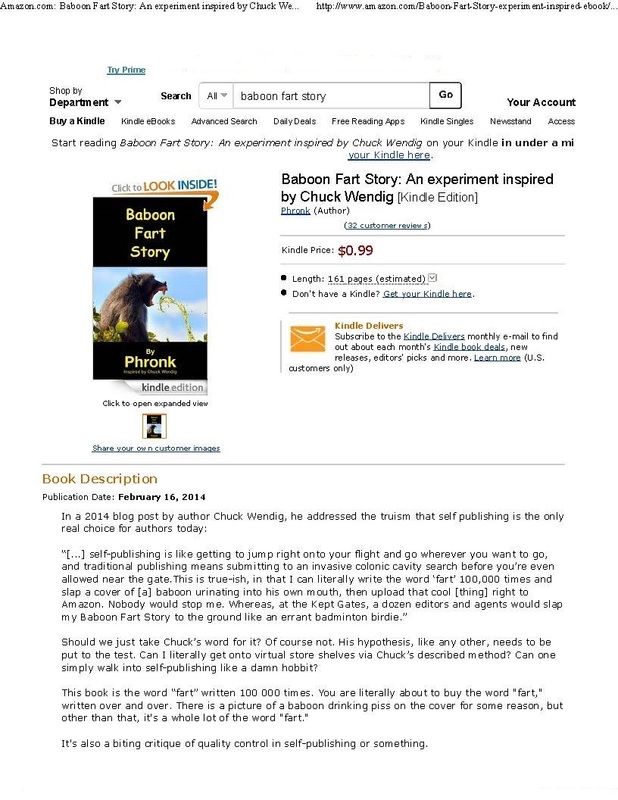 Download a copy. The interior will surprise you. 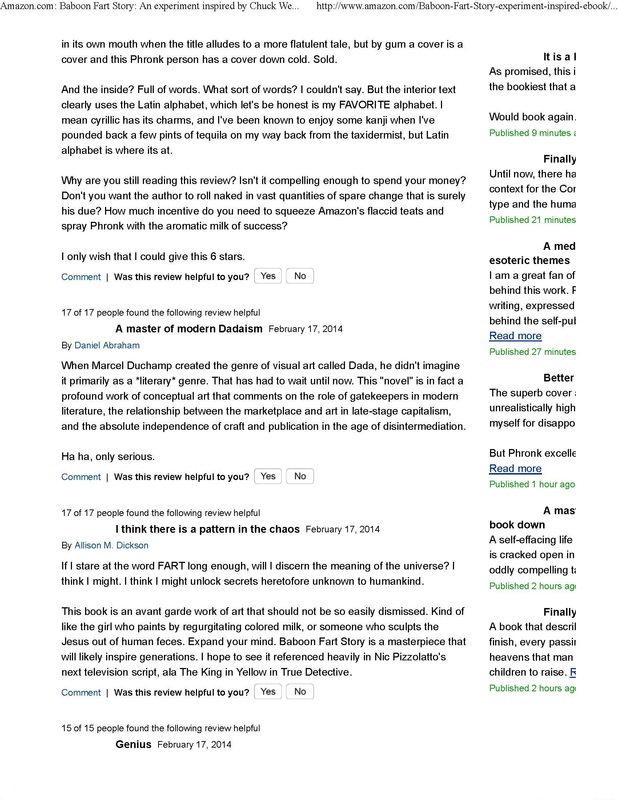 I expected a big ol’ chunk of text with the word repeated and no real formatting…but no. Get yourself a copy, read, and enjoy. 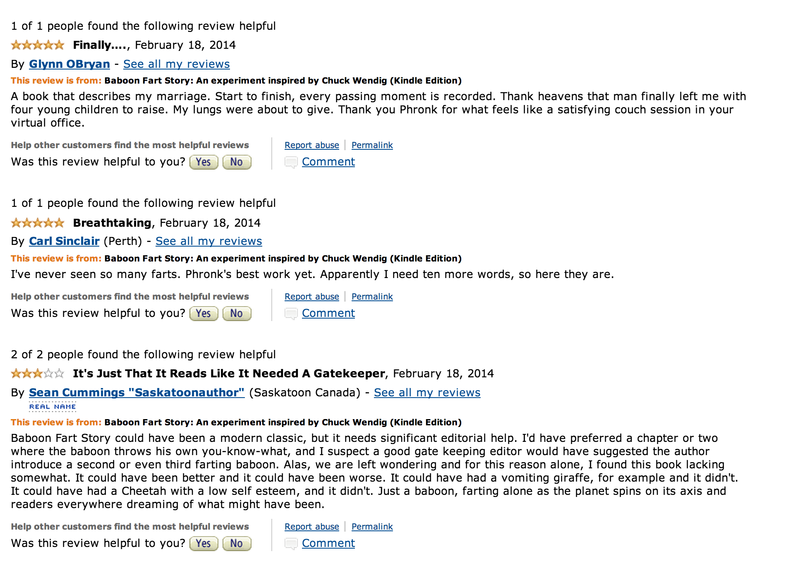 I’m still amazed at what can happen on the internet in a matter of 24 hours. Here they are. 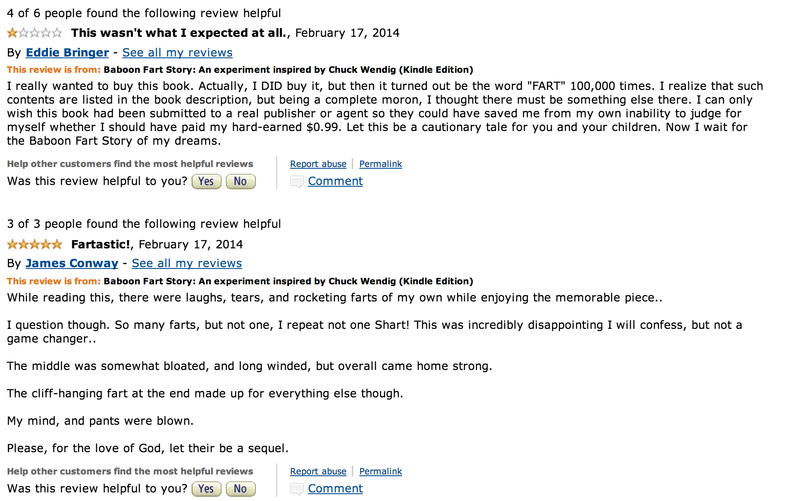 Amazon reviews of Baboon Fart Story by Phronk. 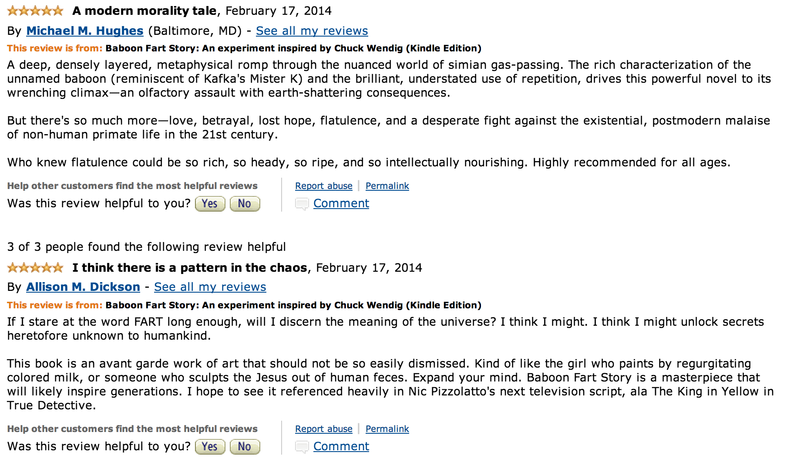 Head over to Indie Author Land for my author interview that went live today. 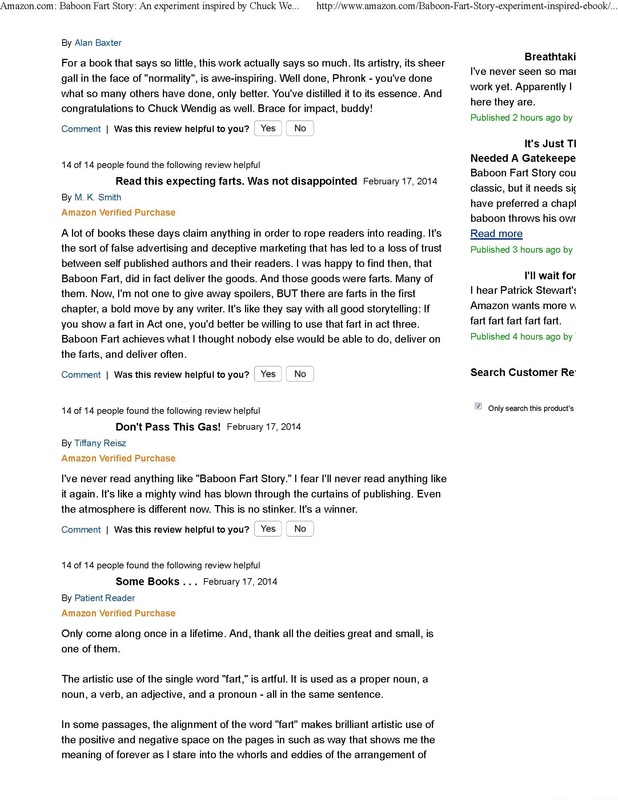 And while you’re there, be sure to check out their other interviews and the page of free and discounted books. You might find something you like! 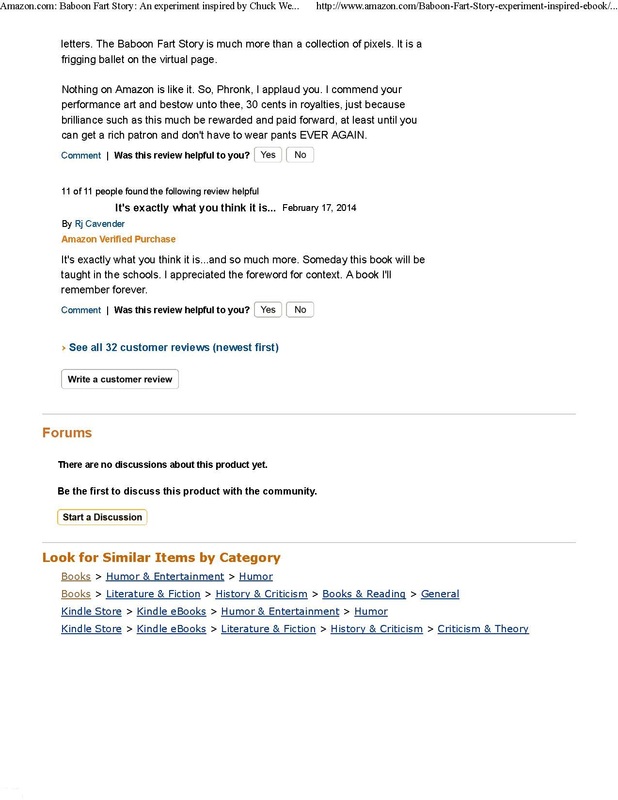 Now here’s an update on book two for the mob outside my house carrying torches and chanting something about book one? And cliffhangers? And something involving a pair of pliers and my fingernails?